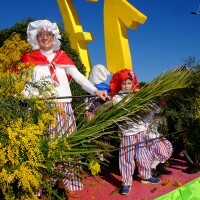 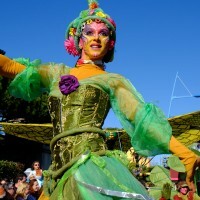 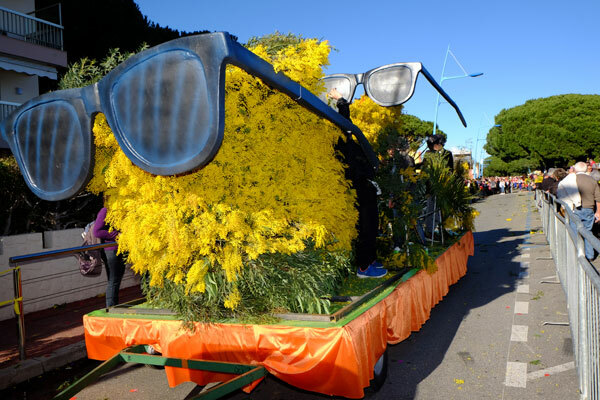 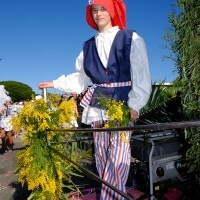 The Fete du Mimosa in Mandelieu celebrates since 20 years the scented magic of the flower symbol of the Sun with stunning traditional corso of Mimosa facing the Mediterranean Sea. 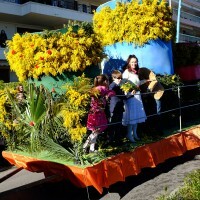 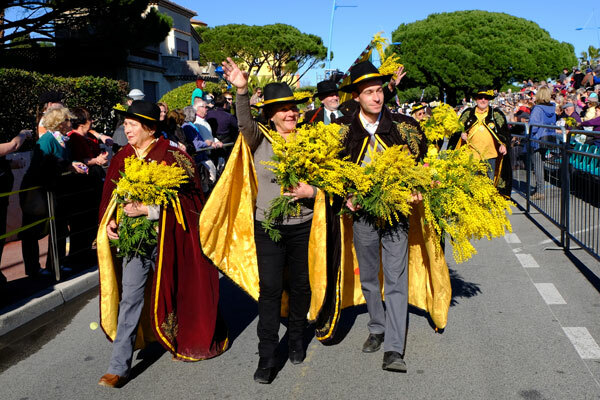 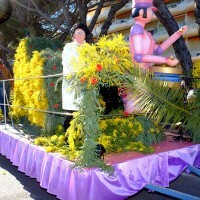 From February 18 to 25, 2015, the Fete du Mimosa in Mandelieu-La Napoule celebrated 20 years of worshipping of the mimosa with branches of sun. 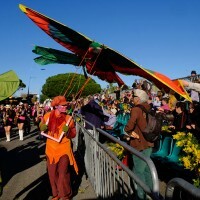 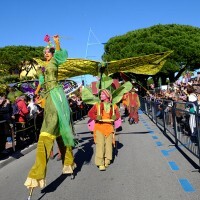 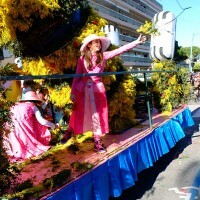 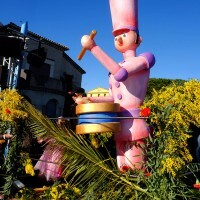 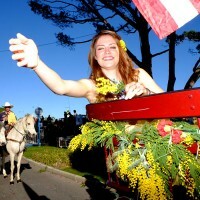 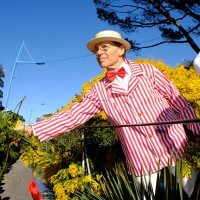 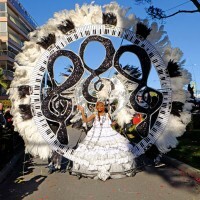 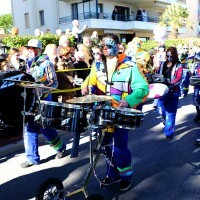 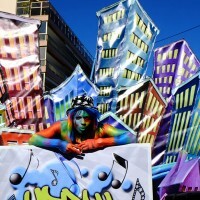 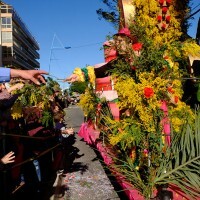 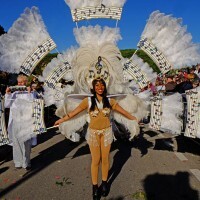 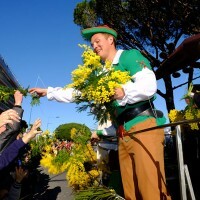 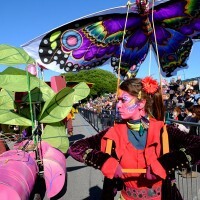 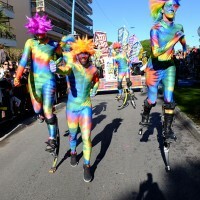 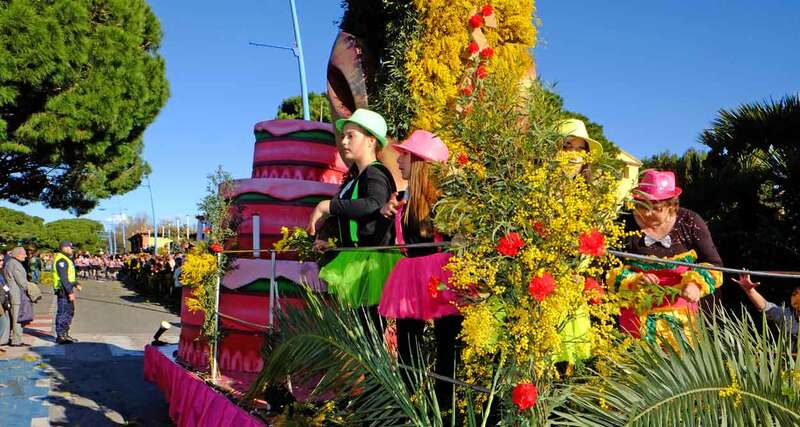 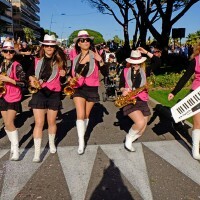 In an explosion of colors and scents, a multitude of bands have paced the Mimosa flower parade consisting of eight floats celebrating Youth in Fanfare. 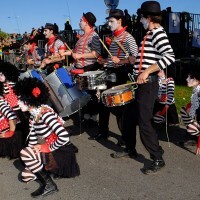 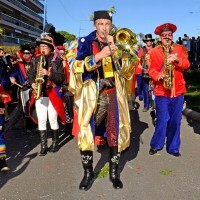 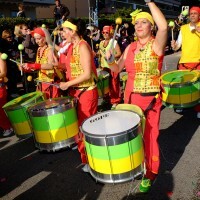 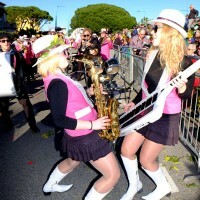 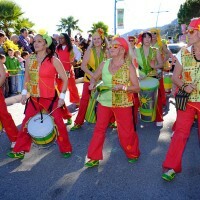 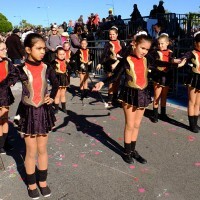 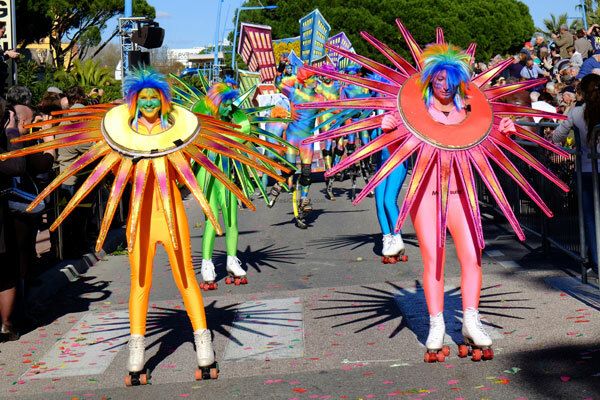 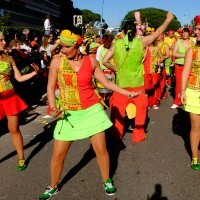 In a nod to the Youth in Fanfare, a theme evoking vitality and music, 8 floats all dressed in gold, accompanied by troops of dancers, musicians and street performers, paraded by the sea in Mandelieu-La Napoule. 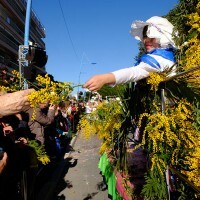 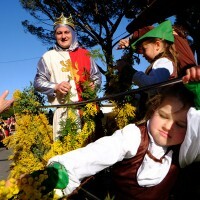 Girls in festive costumes distributed some bunches of mimosa to a delighted audience. 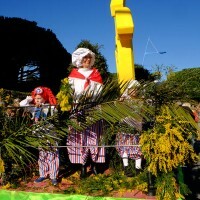 The Mimosa, imported from Australia, appears at the end of the 19th century in the gardens of villas owned by British that winter on the French Riviera, like Lord Brougham in Cannes. 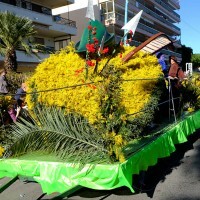 The shrub with sun flowers remarkably acclimatized to the mild climate of the South of France and soon, many “mimosistes” will grow this tree and sell its bouquets with fragrant flower branches worldwide. 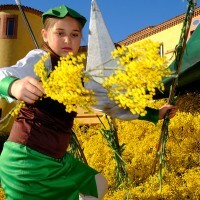 La Fete du Mimosa celebrates a local culture and economy that made the prosperity of the country. 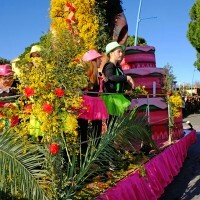 Its success is increasing year by year and now the event attracts many enthusiastic spectators coming to admire the floats and catch sprigs of mimosa distributed by bunches by young gorgeous young girls perched on the floats. 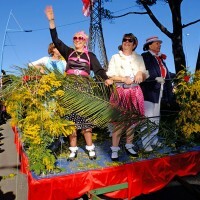 Present in the parade, Florence Nascimento, the freshly elected Miss Mandelieu – who is also Miss Mimosa -and her two dauphines, Alexandra Sabin and Florence Bigot, added a touch of beauty and charm to the Fete du Mimosa.